I am licensed Real Estate Broker in Colorado since 2003 and work with Synergy Realty Group, Inc as an Owner and selling Broker. I am proud to say that our team is one of the top teams in Southern Colorado. Our Team received sales awards for each of the 11 years we have been together. We rank in the top 1% of Realtors in El Paso County. I really enjoy helping clients sell their home. When the market turned south, I increased my activity in marketing and advertising giving me a competitive edge. I’m also into leverage. I have a large team of brokers & staff to fulfill the goals of the client. I don’t just focus on sellers only, though, buyers are just as important. I know that buying a home is one of the largest transactions in a person’s life. I take this responsibility seriously. Without sellers and buyers working together with a great agent, a smooth transaction will not happen. When not working, I like to hang out with family, play golf & take Cruises. I am a Colorado Springs native and have seen this city grow to what it is today. I have been employed at Synergy Realty Group for over 12 years. I started as a Real Estate Assistant and now I am the Office Manager. We have a great energy in our office that makes it very easy to come to work everyday. I take pride in knowing that all agents, staff and clients come into our office like it is “home”. I am here to support each and every agent that works in our office to help them achieve their goals. I am a Colorado Springs native, and also a Realtor because I love Colorado Springs! My background is in training as I spent 25 yrs. at Atmel Corporation as a Technical Trainer. I also was their Director of Events and love to plan events for large groups. I am married, have 5 children and 11 Grandchildren that I love to hang out with. I also love, love, love traveling! Aaron has been a practicing Real Estate Broker in Colorado since 1987. 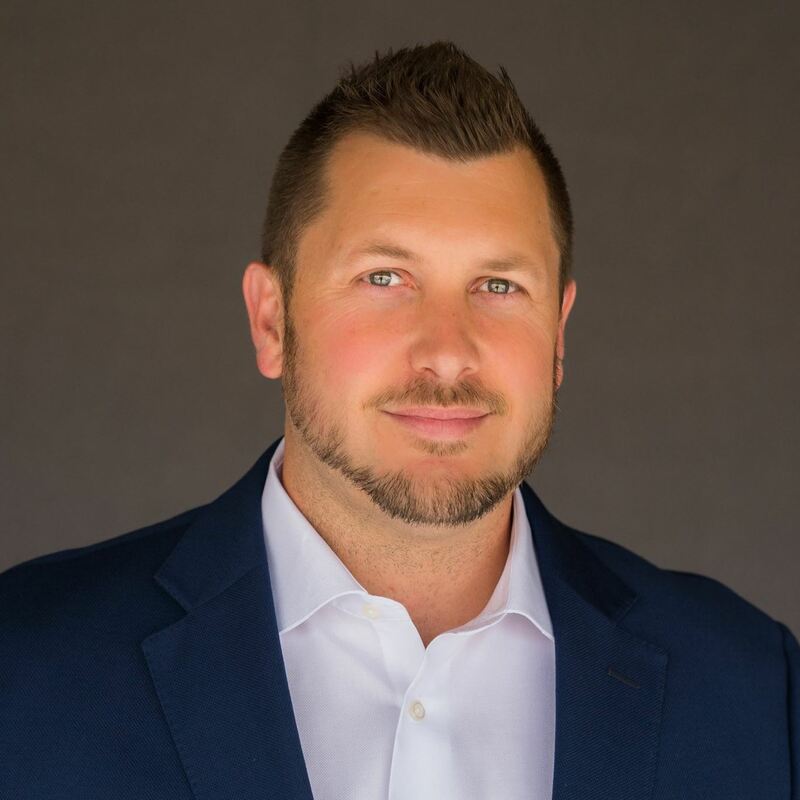 Through his long career he has served in many capacities, but Aaron's greatest passion is education: both for his clients and for people wanting to obtain a Real Estate license. Along with his professional service to his Real Estate clients, Aaron is also the CEO of the Real Estate College of Colorado, Inc. which has served Colorado as a leader in Real Estate training for over 40 years. He has gained the reputation over three decades of being a caring and insightful Real Estate advocate for his buyers and sellers in their transactions. Find Your Next Home: You need someone who knows the Colorado Springs realty market inside and out! I can work with you to find the right home at the right price for you, including all the neighborhood amenities that matter – not to mention the essential criteria you have for your ideal home. Sell a Home: When it’s time to move, you need someone who will advertise your home, show it to prospective buyers, negotiate the purchase contract, arrange financing, oversee the inspections, handle all necessary paperwork and supervise the closing. I can take care of everything you need, from start to close. Contact me to find out about Colorado Springs home values. Military Relocation Colorado Springs: I’ve helped many military families find their homes. Contact me to find out about the Colorado Springs housing market and Colorado Springs housing prices. Awards: Short Sale Foreclosure Resource (SFR), Graduate Real Estate Institute (GRI, Certified Military Housing Specialist (CMHS). I am Retired Air Force, father of three and grateful husband to Linda, the best wife in the world! I have been a real estate agent here in my home town for the last 11 years with hundreds of homes sold. Linda and I pride ourselves on offering something very unique and not so common in our business...we always promptly respond to our clients! This sounds simple, but is apparently not a common attribute. We do, very much, pride ourselves on providing the highest level of service and will do practically anything providing it is legal, moral and ethical, to help our clients. Our reviews and reputation back this up, so don't take our word for it! As a military Veteran, I also volunteer with assisting transitioning service members and Veteran's with post service employment. I facilitate and teach a transition workshop every month and assist with a myriad of veteran employment initiatives in town. My certifications include: Certified Distressed Properties Expert (CDPE), Accredited Buyers Representative (ABR), and Graduate Real Estate Institute(GRI). In 2010, after our second son was born, Leah and I caught the vision for Sahhar & Sons Real Estate. I had already been in the real estate industry for seven years, and at that point our dream of owning a family-operated real estate business had a new name. My own combined experience in hospitality, sales, marketing and Colorado Real Estate began over 21 years ago. I love serving the people of Colorado Springs, and helping them find their perfect home on the majestic Front Range. After “retiring” from her beloved teaching career to be a stay-at-home Mom, Leah is now a licensed Colorado Real Estate Broker, helping our clients from the Administrative side. She uses her natural gifting to help with business organization and scheduling. Together we make a pretty efficient team! Chaundra grew up in Colorado and has lived in Colorado Springs for 19 years. She grew up on a farm in Northeastern Colorado, then graduated from Colorado School of Mines with a degree in Chemical Engineering. Client service has always been at the core of her skill set and she continues to focus on it. Education is important to her and she is constantly taking classes to improve her knowledge to assist clients. Additionally, Chaundra works with a local custom home builder and can provide assistance to clients who are interested in building an affordable custom home. She regularly helps these customers sell their current homes so they can move forward into a dream custom home. Chaundra enjoys hiking, running, skiing and taking advantage of all that this beautiful state has to offer. She is married with two boys, one in high school and one in college. They both play Varsity Football so that is a fun part of her life. An energetic and fun dog, Lily, rounds out her busy family. I believe in the value of owning real estate as a personal investment. I joined the Synergy team to surround myself with professionals to learn from them through the multiple meetings and classes held in-house, have their support, and better enable myself to help you, if you are a buyer, in your pursuit of home ownership and personal wealth. Likewise, if you are a seller, being a part of Synergy cultivates my expertise in getting you the most value from the time, energy and money you have invested in your home. When not working, I enjoy reading any book I can get my hands on, playing music, and lifting heavy weights at the gym. I am also a Toastmaster, working to develop my public speaking skills, where I have been a club officer for two years. As a seasoned real estate professional since 2002, Dinky brings experience along with a sharp eye and ear to the real estate scene. She has seen many changes to the Colorado Springs, from good and troubled times in the area. She is experienced with Sellers and Buyers in all aspects in the industry. SELLERS want the best price for the sale of their home but there is so much more that goes into selling a home. Dinky prepares her sellers for the best and worst scenarios, based on what can be done by the seller to present the home for sale. It all begins with a pre-inspection to avoid any surprises after the buyer’s home inspection. This includes; potential repairs and upgrades, as well as, DIY and professional bids for work to be done, presentation, availability to show the home and showings, packing and storage of personal items, security of belongings, recommendations of disposing of items not moving with you, closing day and last but not least moving day. Sellers want the best offer at the offer table, preparation for the sale brings the best offer. Let’s get ready! BUYERS want the best home purchase but it requires a lot of work before the home search begins. Buyers must first be qualified to see homes. A pre-approval letter from your choice of lenders lets you know what you can afford. How will you pay for your home? Cash, conventional, FHA, or VA? We become partners in finding your resale or new construction home; writing an offer, doing the home inspection, we wait for final lender approval and then we close on your new home. Finding the perfect home is everything! Be sure you know what you need for your new home. Square footage, beds and baths, and living space- indoors and outdoors. Remember: You can always paint the walls and change the flooring if you would like but never the location. A home is more that a place to live, it is where memories are made. It is about life and how you do it in your home. Edgar has many years of Management experience and knowledge of Customer Service. Edgar is also fluent in Spanish and will be happy to assist when needed. Having moved several times across the Country and overseas he brings his personal experience into each and every Real Estate transaction. He clearly understands that he works for his client and shows them what truly dedicated service looks like. Edgar and his family relocated in 2002 to Colorado Springs and has made this their home. Him and his wife are constantly giving back to the community that they live in. I have been an agent for over 4 years. In that time I have developed a strong sense of the real estate business in Colorado Springs and Castle Rock areas. My business has been so successful that I have brought in 2 other agents to help with my buyer and seller activities. I have personally managed over 130 transactions in just 4 years. My primary area of focus is divided into 2 arenas, and they couldn’t be more different. First time home buyers searching under $175,000 and new construction from $200,000 to $500,000. I don’t try to be something to everyone, rather I just want to be really good a few things. If you need expertise in these areas, I will make your expectations my goals. I grew up in New Orleans and lived in Dallas and Denver before settling in picturesque Colorado Springs over 30 yrs ago. I am the proud mother of 2 amazing grown children, their equally amazing spouses & grandmother to 2 precious grand-kids. Working in real estate has been a wonderful way for me to feel that I am making a difference in people’s lives. Getting to know each person and their story, is the most important aspect in finding that special place for them to call home. It’s my job to make the process of buying or selling a home as smooth as possible for my clients. Grant Smith began his real estate career in Colorado Springs in 1996, becoming an Independent Owner/Broker in 1998. He received his Bachelors degree in Geology from the University of Georgia and, before moving to Colorado Springs, he was an exploration geologist/geophysicist in the mining industry for 10 years, working throughout the western U.S. and Alaska. Upon moving to Colorado in 1996 he began a new career in real estate obtaining his real estate and building contractors licenses. Utilizing his unique knowledge in the earth sciences, real estate, and construction his company developed over 50,000 SF of commercial industrial space in Colorado Springs to help fulfill the needs of small business owners who wanted to own their own place of business and enjoy the rewards and benefits of property ownership. Grant's focus is helping both buyers and sellers close their residential real estate transactions at the best possible price with the least amount of hassle and complications. When he is not working with clients, Grant is a Board Member of the Council of Neighbors and Organizations (CONO), a 40 year non-profit based in Colorado Springs that empowers neighborhoods in the Pikes Peak Region. Grant also serves as President of the Cragmor Neighborhood Association. He enjoys road and mountain biking, and generally being outside exploring and enjoying Colorado. I have been a licensed Realtor in Colorado since 1980, and have lived and worked in Colorado Springs and the El Paso County area most of my life. My dearly departed Father was a career Military Man, and we arrived in Colorado in 1962 courtesy of the US Army. I am a certified residential specialist and have enjoyed helping many Military families relocate to and depart from this area. I specialize in Residential and Income property. I have experience representing many Investors and have completed numerous transactions using the benefits of the 1031 Tax Deferred Exchange. First time home buyers can be assured they will be guided through the buying process with the utmost care and skill. I have an above average knowledge of Construction since my husband is a Licensed General Contractor. I am a LISTING PRO, and 90% of my business is from referrals and repeat business from my previous customers.Take advantage of my years of experience in this area and the knowledge I have acquired to give you as a Buyer and/or Seller the best representation in your next Real Estate transaction. I truly believe Real Estate is the BEST investment you can make! As a local real estate agent, community is the most important thing to me—it is my passion. Around Falcon and Colorado Springs, you will find me at most of the neighborhood functions, supporting our small business owners, participating in fundraisers, and so much more. This is why many of my friends and family call me “The Heartbeat of the Community.” Falcon has been my home since 2008, and I am proud to represent this area for anyone who is looking to buy or sell. Prior to realty, I have operated 2 successful businesses and represented a Fortune 500 Company for over 14 years. I have had extensive sales training, business management experience, and strong communication skills, all of which have helped me build my successful real estate business. Whether it is negotiating a contract, marketing properties, or finding the perfect house, I am efficient and effective. I prioritize your needs above all, all the while getting things accomplished. I am also a certified Military Relocation Professional, and I have had experience with all types of properties—Land, residential and new builds.—in Falcon, Peyton, Colorado Springs, Black Forest, and more. I am proud to serve both buyers and sellers within this beautiful state of Colorado and can help each family accomplish all their goals. I believe that being an integral member of this community is what sets me apart, and that difference will be evident in my work as your realtor. Jim and Cindy moved to Colorado and have owned a home and investment properties since 1994. They both have lived in Denver and Colorado Springs for over 20 years and are now both retired from the military. With their combined military experienced of over 43 years and over 20 years of real estate experience, they have exceptionally served their military and civilian clients in a wide array of transactions giving them the distinction of being one of the best seasoned real estate teams in town. Cindy is a graduate of Wayland Baptist University, where she received a Bachelor of Science in Occupational Education degree with a background of Finance and Accounting while in service. Jim, a graduate of the Pikes Peak Association of Realtors Leadership Academy has earned ABR, CHRE, MRP and SRES designations while, Cindy has also earned her ABR, CHRE, CRS, GRI, MRP and SRES designations. Real estate is their passion as they love meeting people and helping them with their needs and goals. They specialize in buying, selling, foreclosures, short sales, REOs, relocations, 1031 exchanges and other investments. They guide you in finding mortgage brokers or banks known to be competitive in the area. They also offer bilingual translator to their non-English speaking language clients. The responsibility in taking care of their clients most expensive investment by finding or selling a home or even referring clients to others outside our area are their most satisfying accomplishments. On free time, they enjoy the company of their grandchildren and love to garden, camp, hunt, hike, fish, golf, travel and do other outdoor activities. They are active supporters of military programs and volunteer in various community activities. They donate a portion of commissions to worthy causes. The emphasis to give back to the community is their selfless way to pay it forward. Both are Lifetime Members of the Disabled American Veterans. The dedication and commitment to their clients best interests are unparalleled which is a strong base of having loyal repeat customers and generates personal referrals. They are full time professionals with vast experience and expertise in their career field. Their motto “Clients Come First” echoes and they are here to assist you in all your real estate needs. I am a 5th generation Native of Colorado Springs! I love walking beside my Clients as the are Shopping For Their PERFECT HOME! In order to assure the home is right! I partner up with Great Inspectors, Lenders and Title Companies to assist in the purchase and sells of properties for my clients. I see Real Estate as a Journey for both Buyers and Sellers and I am honored when they chose me to Serve them as their Trusted Realtor! I have completed the GRI which is the Graduate Realtor Institute and my CDPE certified distressed property expert. I continue to take classes that help me improve in being The Best Realtor My Clients Deserve! Joe grew up in and has been a Colorado Springs resident for over 23 years! He has a true understanding of the surrounding communities that make up this beautiful and unique part of Colorado. This appreciation and familiarity is vital to helping buyers and sellers wherever they are in their Real Estate journey. 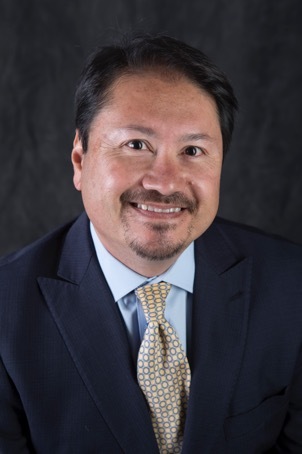 Joe also brings a diverse background and professional experiences to the Real Estate table; including finance, banking, sales and project management. Growing up in the proud military family that brought him to Colorado, Joe is equipped with understanding the importance of the service, integrity, and commitment needed in all aspects of life. He is an active volunteer and community servant throughout the Colorado Springs community and surrounding areas. His volunteering efforts stretch across multiple school districts with various causes and initiatives. With his knowledge and enthusiasm for service in the Pikes Peak region, Joe is ready and excited to share this knowledge and passion through working alongside you and your family; fulfilling your home buying and selling needs. 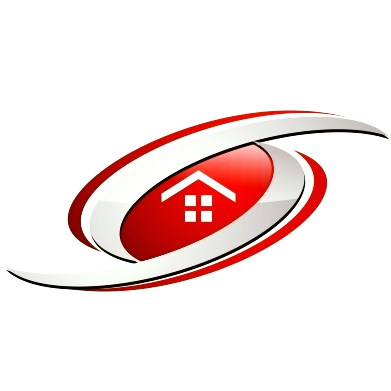 I am a licensed Real Estate Broker in Colorado and my focus has always been about helping people. I’ve always had a passion for Real Estate. Teaming up with sellers to get the best return on their investment and helping buyers find the best home their money can buy, is what drives me to exceed expectations. Property management is another way that I help people who are not looking to buy or sell a home. I, purposely, keep my Property Management business small so I can deliver the highest level of personalized customer service I feel all owners and tenants deserve. My goal is to assist owners in obtaining maximum financial benefit, coupled with property preservation through structured leasing of their investment property. I own investment properties myself and know what it takes to keep both owners and tenants happy. I give my clients excellent personalized service. I am a Colorado Springs native and, with my in-depth knowledge of the Colorado Springs area, can help my clients achieve success. The ability to assist in making dreams come true is extremely rewarding to me. No stranger to beautiful surroundings, Joshua was raised in North Carolina and relocated to Colorado Springs in 2013. . . and loving it! He is very much a people-person with a passion for helping/seeing people and families through this very important and life-altering process that is buying and selling homes. He is valued as a very loyal individual, with a strong sense of integrity which is vital in a Realtor/client relationship. When not deep in Real Estate, Joshua is utilizing his love for outdoors and adventure while hiking, snowboarding and traveling. He also uses his creativity in photography and cooking. He is excited to be a part of the Synergy team and can't wait to meet you! I have lived in the Colorado Springs area for 18 years. I am eager to share my knowledge on all the different areas in the Pikes Peak Region. I specialize in working with home buyers, leading them through the process and finding a home that will meet their ownership goals. Wether you are buying a home, selling a home or looking for investments, I am committed to making your real estate experience as smooth as possible. Outside of my professional career I enjoy spending time with my husband and our three children. I am a licensed Realtor. I specialize in representing my clients in the purchase and sale of single-family residences and income property within Colorado Springs. I truly love this area and pride myself on my knowledge of current transactions, school districts, neighborhood information, and related services, including mortgage, insurance and inspection information. A third-generation military veteran, I was awarded the Air Medal while serving in the U.S. Air Force during Desert Storm. I also work as an emergency medical technician, picking up shifts in my downtime. I started in real state in 1998 in New Mexico. Since I first earned my license I have been involved in many facets of the real estate profession to include staging, design, rehab, construction, flipping properties, investment properties and rentals, even the mortgage industry. My education is in health care with an associate’s degree for surgical tech. I was employed mostly as a dental/surgical assistant for over 25yrs. Now I am focusing my energy, full time, to help people to realize the dream of home ownership. As a single mom, I raised 3 awesome children and now have 7 grandchildren, who are now my best fishing buddies. I am originally from Michigan. I moved to New Mexico as a teenager and then explored many areas around the country and finally settling in Colorado Springs in 2000. I love the beautiful mountains and all the outdoor activities they offer. I love fishing, hiking, camping, mountain biking and 350 days of sunshine a year! I am a member of the Fraternal Order of Eagles #3260 (people helping people), Sponsor of the Wounded Worrier Project, and a member of the American Pool Players Assoc. Having lived in Colorado Springs for 35 years, Kurt is personally familiar with the area and market conditions (location, schools, growth and value trends) that are vital for Buyers and Sellers. He also has an understanding and appreciation of how your home reflects your lifestyle. Whether looking for a starter home, an eclectic home on the Westside, a new build or investment property, Kurt takes pride in delivering personalized results for his clients. Be it working with Buyers or Sellers, Kurt’s top priority is to insure a smooth transaction and will work diligently on your behalf through the entire process. He does this by taking the time to get to know his clients, listening to their vision and understanding their needs when buying or selling a home. He understands that a client’s busy schedule requires transactions to be handled in a timely and efficient manner and that attention to detail are key! Let him help you buy a great home, sell your home for a great price or help build your investment portfolio. I have been a business owner and entrepreneur all my life. I recently retired from a very successful, 30+ year solon business and am now leveraging my talents to help people with what is most often their biggest investment. I absolutely love helping people find that perfect home! The process of getting to know individuals and families then helping them find a home at a price and in a location that is an ideal fit for their personalities and lifestyles is thrilling to me. While my husband, Bob, specializes in the listing (helping people get their home sold), I specialize in helping buyers. We both very much support each other, we are the perfect team! Lorie has been working in the Colorado Springs real estate industry since 1989. She started her career working as an appraisal assistant, earned her appraisal license in 1992, and then started her own appraisal business in 1995. In the spring of 201 she earned her Associate Brokers License and is now proud to be a part of Synergy Realty Group, Inc.
Lorie is a native of Colorado Springs and is happy to share her vast knowledge of the entire Pikes Peak region. She feels a great sense of reward now that she has shifted her primary focus to sales rather than appraising. Working directly with buyers and sellers allows her to put her skills to the test. Lorie’s extensive appraisal background has proven invaluable when it comes to deciphering market trends and finding that perfect price point. Her in depth knowledge of the market and the confidence that comes along with it has lead to her excellent negotiation skills. When Lorie is not working she spends time with her husband and two children enjoying many of the outdoor activities that Colorado has to offer such as hiking, jet-skiing,kayaking, ATVing, snow skiing, and much more. She also devotes a lot of hours volunteering at the kid’s school, boy scouts and girl scouts. As a Colorado Springs native and a former Law Enforcement Officer, I am familiar with the area and amenities the city offers. I am fluent in Spanish and have helped several Spanish speaking clients. I take great pride and pleasure in helping others, by making a positive difference in people’s lives. I enjoy the outdoors and appreciate all the wonderful things Colorado offers. My hobbies are taking long mountain drives, fishing camping hiking and I enjoy volunteering in varies youth activities in our community. As your real estate agent, I will dedicate myself to help you achieve your goals in buying and selling real estate. I am not just another Agent, I listen to your needs and treat all my clients as if you are family. I understand that buying/selling real estate is a big investment and having the right representation is crucial. The real estate market is constantly changing. Therefore, I make it a priority to continue educating myself on revolving changes in the market. As your agent I will be your advocate and I will help educate and guide you through a smooth transaction, step by step. I will provide you with exceptional service by being available to answer and solve any concerns you may have at anytime. I am confident that you will be both happy and satisfied with the end result. I am happy to answer any questions you may have. Mark Davis is the Team Leader of The Mark Davis Team at SRG. His team was hand-selected for their unique abilities and valuable array of experience, professionalism, and integrity. When buying or selling trust The Mark Davis Team to exceed your expectations and deliver results you can count on. Our Team of Realtors live and work in the communities we serve and we know how important your transaction is to your family! Whether you're buying or selling your first or last home we will be with you every step of the way. Working with a qualified, competent and dependable agent makes all the difference in the world. Helping you navigate the process is our passion. Come experience our passion, drive, and commitment to helping you accomplish your real estate goals- Contact us by phone, email or web today to get started! "Remember, my job is more than just showing you homes, it's introducing you to the right one." -M. Davis. I Grew up in the great state of Oklahoma and then spent 10 years in Annapolis, MD. While in Maryland I got really lucky and met my beautiful wife and we have 2 children together. We decided we wanted a change from the east coast hustle and moved the family to Colorado in 2013! Once in Colorado, I helped build a successful plumbing company and at the beginning of 2018 I sold my ownership to my partners and entered into real estate. I absolutely love helping people find their homes and I get a special satisfaction helping people who didn’t believe they could buy a home of their own. Mike Ockert moved to Colorado in 1997 and is a former law enforcement officer, serving in North Carolina and Colorado. 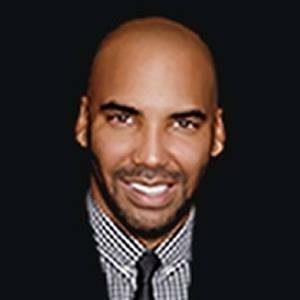 He graduated from Regis University in 2001 with a B.A in Criminal Investigations and two associate degrees in Criminal Justice from Pikes Peak University. He loves the outdoors, physical fitness and the excitement of the unknown. Mike’s hobbies included martial arts, hiking, camping and weight training. Mike started a real estate investment company in 1998 and then in 2005 got his Real Estate license selling residential property and land. Mike holds a Short Sale and Foreclosure Resource Professional designation and sells Real Estate in both El Paso and Teller County, with an emphasis on luxury and mountain properties. Mike is a Certified Military Relocation Professional (MRP) and Volunteer his time to Fort Carson’s Housing programming helping Military families find housing off post and assist them with buying and selling real estate. My name is Nick Coram. I was born and raised here in Colorado Springs. I have been mentoring under the best realtors in Colorado for some time now and I’m happy to say that I’ve found a home at Synergy Realty Group. The amazing network and classes have benefited me beyond my expectation. When I’m not selling Real Estate, I like to teach yoga, exercise and travel. Former Century 21 Hill Crest Top Producer; ERA United Leader Circle; Prudential Preferred Properties Presidents Club; Multi Million Dollar Club; Platinum Award at Keller Williams Realty. First of all let me express my sincere gratitude for the opportunity to serve you and your real estate needs in the greater Colorado Springs Metro area. I have been in the real estate business over 17 years and I believe it is important, as a consumer, to know who you are dealing with in the sale or purchase of your home. I obtained my real estate license in 1984 while living in California. Over the past 17 years I have worked in real estate in California, Virginia, Washington State, and Colorado.I have been selling real estate in the Springs for 10 of the past 22 years. I believe my years of experience in the real estate business and in the Colorado Springs market will be of great benefit to you. It is my responsibility to provide you with the best guidance and recommendations for getting the most home for your hard earned dollars as I possibly can.I know the Colorado Springs real estate market like the back of my hand and this is valuable when seeking a home.Making a move of any kind is a very unsettling process under any circumstance. I would get to know you and your spouse as much as possible in the short time we have together.It is extremely important to know your wants and needs in terms of a new home. It is also important to know such things as number and age of children, desired commuting distance and so forth. Roberto has 15 years’ experience in construction and architectural blue prints and a solid understanding regarding the process of buying and selling homes in today’s market. Roberto also specializes in New Home Builds as well. As a buyer/seller you can have the confidence that you will get the best experience, honesty and integrity working with Roberto, discovering the latest real estate marketing strategies to achieve your real estate goals. Roberto is Bilingual (Spanish) as well. Call him so you can get honesty and integrity working together for you. I retired from the Army after 20 years of service. I am married to my beautiful wife Laurie and have an amazing son named Kasey! I have been in real estate for almost 2 years now. I pride myself on providing the most professional, genuine, and ethical service to all my clients! My reviews from my clients will back this up!. As a Army Veteran, I pledge to give selfless service to all my clients. My certifications include: Accredited Buyers Representative(ABR), Military Relocation Professional(MRP). I love Colorado Springs! I am not a native, but I got here as soon as I could. It is a great place and a great life here! Prior to joining Synergy Realty Group, I spent 28 years in the IT industry. 18 of those years were spent as a manager or director. I most recently spent a dozen or so years working with the local sheriff's office. My most heartfelt memories of those are working with the office and community during the Waldo Canyon and Black Forest fires, trying our best to save homes and mitigate damage to neighborhoods. I bring 28 years of project management, operation support and customer service to my new endeavor as a Realtor. All of my experience about systems, controls, and methodologies make for great Real Estate practices. Purchasing a home is the single largest financial transaction for most families. I can and will make that experience as pleasant and smooth as possible. I believe in the concept that my actions as a Realtor and Agent must support and enable the buying and selling processes, utilizing a strategic focus on providing the utmost quality service to the client. I am a proud father of the most awesome daughter ever, Ava. She is a firecracker! She keeps me busy and, more importantly, very happy! We spend a lot of quality time together; we enjoy biking around our neighborhood. She has her own baby. . . a Chihuahua/Dachshund mix named GinGin. GinGin is included in out activities whenever possible. Our home was completed when Ava's grandmother, my mom, moved in with us last year. Being from Houston, she is not as appreciative of the cold weather as we are, but she is adapting well to our great town. Any remaining time I might have, I spend fishing. When not fishing, I am often accused of daydreaming about fishing! Call or e-mail me anytime. It's not just a house! I enjoy meeting and working with others to help them find their dream homes. I’m devoted and care deeply about my clients. I always invest in their goals and work hard to get results. I’m a great problem solver and have the experience needed to guide my clients through the home buying and selling experience successfully. I am a 3rd generation real estate broker and have watched and assisted my grandfather, mother, uncle and cousins in real estate for decades. I have a passion for Real Estate and really love working with people. Whether it’s helping them find and buy that first starter home, a home to raise a family, or downsizing for their retirement years, I help them find that perfect home. For those who are selling, for whatever reason, they can rest easy knowing the negotiating is being done in their best interests. And that is true whether I represent you as the Buyer or Seller. I give you quality time to help you understand the market and assisting you in finding a piece of the American dream: ”A PLACE YOU CAN CALL HOME." Give me a call, text or drop me an email and let’s chat! I have lived in this beautiful city since 1992. I grew up in the San Francisco Bay Area, where I met my husband, a U.S. Air Force officer. Colorado Springs was our final duty station, and we have raised our three daughters here. My focus is working with boomers, seniors and their families, ensuring they have a passionate advocate that caresabout them as well as educates and empowers them during the process of later-in-life moves. I found my passion helping seniors and their families with their unique real estate needs as the emotional, financial, and logistical challenges can be overwhelming for them. I have sought out specific training and education as evidence of my commitment and investment their lives. I provide information about their choices as well as the resources to helpmake their transition as smooth as possible. I offer “concierge” services that include coordinating all the details involved in downsizing and selling their home as well as finding a new one that’s a better fit. I havebuilt a first-class resource team that can help with making this transition. - decluttering, estate liquidation, packing, moving andeven organizing their new space. My goal is for my clients to be overjoyed, not overwhelmed by the process. I also bring to each client and situation a deep level of empathy because of my personal experience overseeing the care and financial affairs of my latemother who battled Alzheimer’s disease. I understand how overwhelming it can be to juggle an aging parent’s needs as well as the responsibilities of your own family and career. In addition, my formal education is in psychology and gerontology, and I have 15 yrs of experience in real estate. How can I help you? As a full service lender, Phil Wynkoop prides himself on being there for the people he is working with. From afterhours calls, to doing weekend applications and prequalifications, he is there for you when you need him. Phil Wynkoop is a one stop shop for all your loan needs. He is certified with Colorado's down payment assistance programs (also known as first time homebuyer programs) and is a VA loan expert. He can also take care of your FHA, conventional, or Jumbo loan! Have a unique situation? Ask him about Caliber’s special portfolio loan programs.